Less than a day removed from his election upset over Missoula County's most seasoned commissioner, Josh Slotnick said the task before him comes with a great sense of obligation. Slotnick, a political newcomer who teaches at the University of Montana, topped 18-year Missoula County Commissioner Jean Curtiss in Tuesday's primary by securing 58 percent of the vote. With no Republican to face in the general election, he'll assume office next January. "I'm surprised the results were tilted my way in such a strong way," he said Wednesday. "I was hoping to win but had no expectations. To come out with the results we did was way higher than anyone would have expected. I appreciate the strong voice for change." 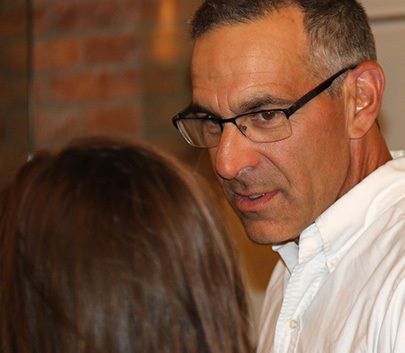 Slotnick's campaign focused largely on a single issue, that being land use, and it's something he plans to focus on next year once seated in office. The results of the election, he believes, back his beliefs that Missoula County sits at a crossroads in determining its future and how it accommodates both growth and affordability. While the county has taken steps over the past few years with new regulations and policies aimed at development and land use, Slotnick believes it must go farther. "We have changes happening to us right now rather than having a bit more authorship of the future," he said. "We can have some control and say on how our valley looks and how our county looks over the next 10 or 20 years. I think people are excited to play a stronger role working with a collaborative county government and having some authorship on what the future looks like." Missoula County's population is estimated at roughly 118,000 residents. As many as 9,000 new households will be needed just in the city by 2035, according to the city's growth policy. Slotnick said his message isn't anti-development but rather thoughtful growth. "It's narrow-minded thinking saying we have to preserve or build and there's nowhere in between," he said. "What I want to do is be really thoughtful about how we do this, and build houses in the best places as needed in the best places, and build affordability into those discussions. This is about thoughtful design, not about preservation versus development." Slotnick co-founded Garden City Harvest in 1996 and the PEAS program in Environmental Studies at the university. He plans on keeping his job through the rest of the year while getting up to speed on the myriad issues involving the county. With Tuesday's results, Commissioner Cola Rowley becomes the most senior commissioner, though she's still in her first term. Dave Strohmaier was elected in 2016. Curtiss, who represented the board's institutional knowledge, was first elected in 2000. Slotnick said he hopes to spend time with each commissioner. "I'll spend time with the current commissioners, as much as (Curtiss) will chat with me and I hope she will, but also (Rowley) and (Strohmaier) and people who serve on the county boards," said Slotnick. "I'm a quick study and I'll push as hard as I can to absorb as much as I can before the beginning."